Singapore Airlines Cargo, WFS, DHL Global Forwarding and LATAM Cargo were the winners of the 19th Brussels Airport Aviation Awards on Wednesday 27 February. The interest in pharma logistics was often decisive in the motivation. LATAM received the Network Development Award Cargo Airline 2018 for the introduction of new cargo flights linking Brussels with South-American destinations through Miami. The other contenders were Asiana Airlines, Avianca Cargo, DHL Aviation and Turkish Airlines. 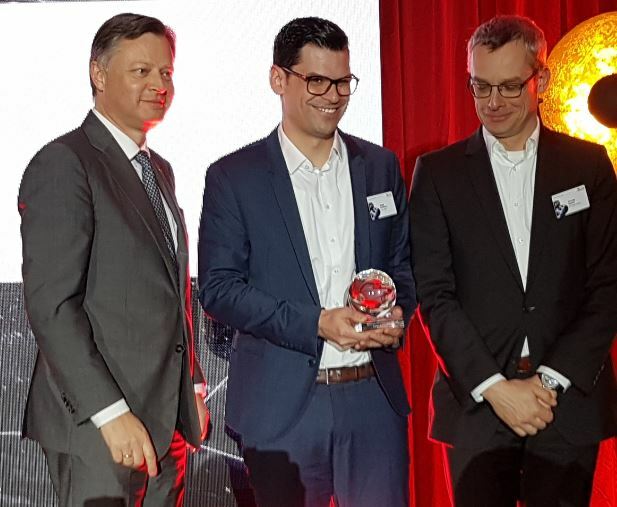 Not surprisingly, WFS was given the Brucargo Award for its newly-inaugurated state-of-the art facility at Brucargo, beating Brinks, Brussels Airlines, Nallian and Air Cargo Belgium’s (ACB) Young Airfreight Network (YAN). According to Regional VP Marc Claesen the award is a reward for the continuous efforts in innovation in a traditional industry. DHL GF’s Airfreight Product Station Manager David Bellon said that the Logistics Provider Award the company had received is not based on economic standards or the size of the company but recognizes the pioneering path his company has been taking for years in digitisation, pharmaceuticals and especially within ACB. “This is how we see this award,” he said. The other nominees were Bpost, Freight4U Logistics, Kuehne+Nagel and Skyfast. The Performance Award Cargo Airline was given to Singapore Airlines Cargo, which had to compete with Asiana Airlines, Atlas Air, Ethiopian Airlines and Qatar Airways. From BRU, Singapore Airlines operates an extensive network connecting America and Asia. “We are truly honoured to receive this award, because of the commitment of our cargo, people and the support of Brussels Airport,” said Eugene Chew on the occasion, Regional Cargo VP Europe.